As I strive to be more healthy we snagged a popsicle maker and have been having fun making our own popsicles. 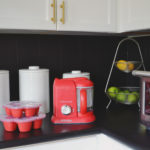 There are so many delicious options and the girls love helping me make them too! This recipe is for the cheesecake lovers out there. 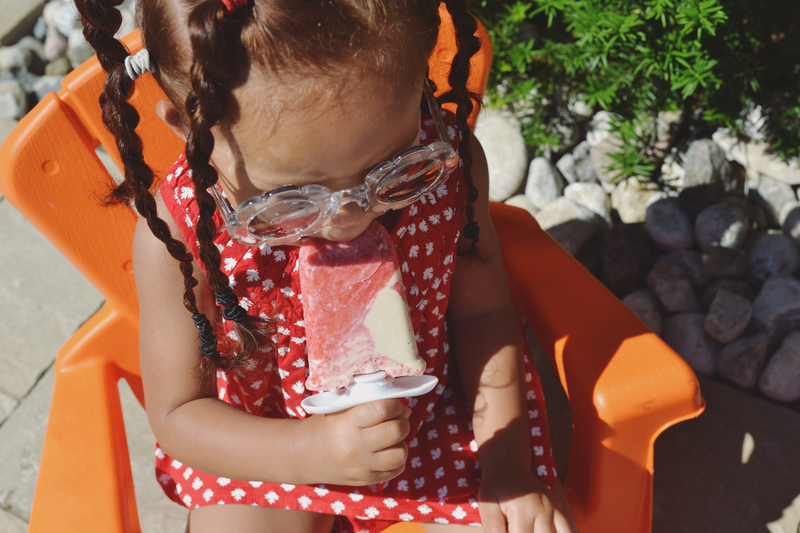 We’ve used our Beaba Babycook Pro and the Zoku Quick pop popsicle maker! Hope you enjoy! 1. Combine milk and sugar in a saucepan over medium heat; cook 3 minutes. 2. Place cream cheese in a medium bowl; gradually add milk mixture, whisking until smooth. 3. Stir in yogurt and vanilla. Cool completely. 4. Place corn syrup, juice, and berries in the blending bowl; process until smooth. 5. 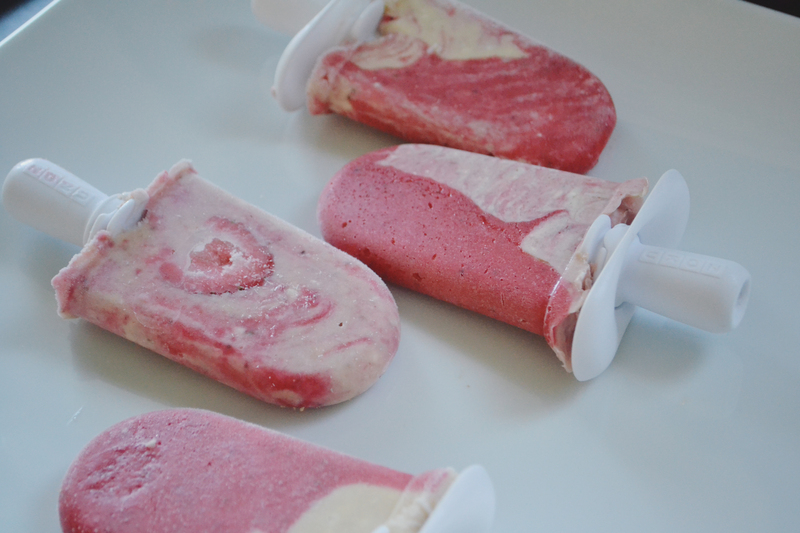 Layer strawberry mixture with cream cheese mixture among popsicle molds. 7. 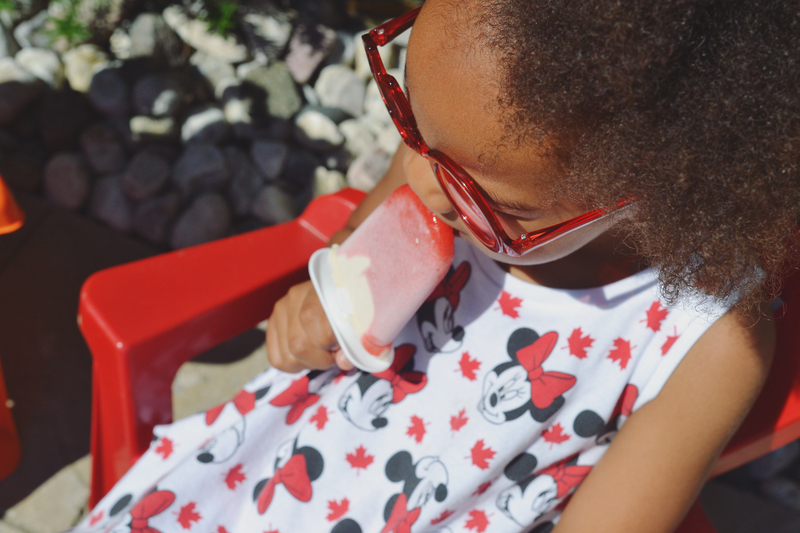 Unmold ice pops; dip tips in graham cracker crumbs and enjoy!